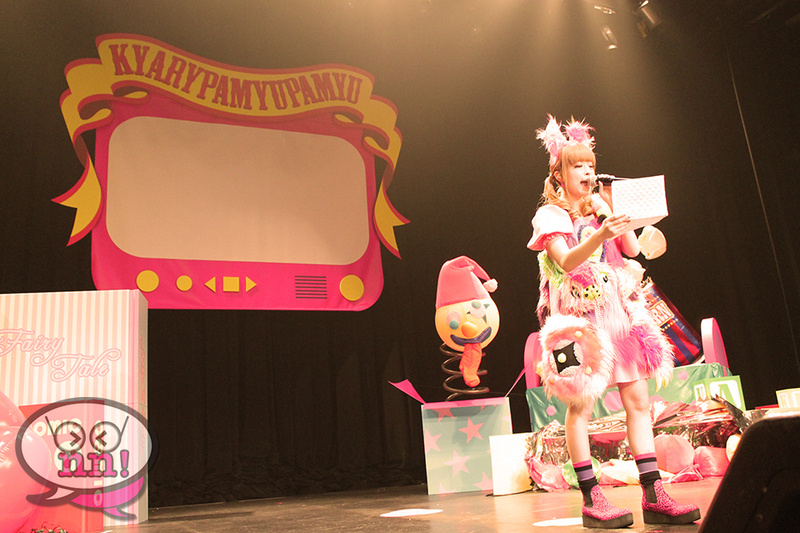 The super-kawaii queen herself, Kyary Pamyu Pamyu, made a stop right here in Los Angeles as part of her Nanda Collection World Tour 2014! Personally, we were really excited to get the chance to see her perform live as we missed her last time she was in L.A, and trust us, we were NOT disappointed! 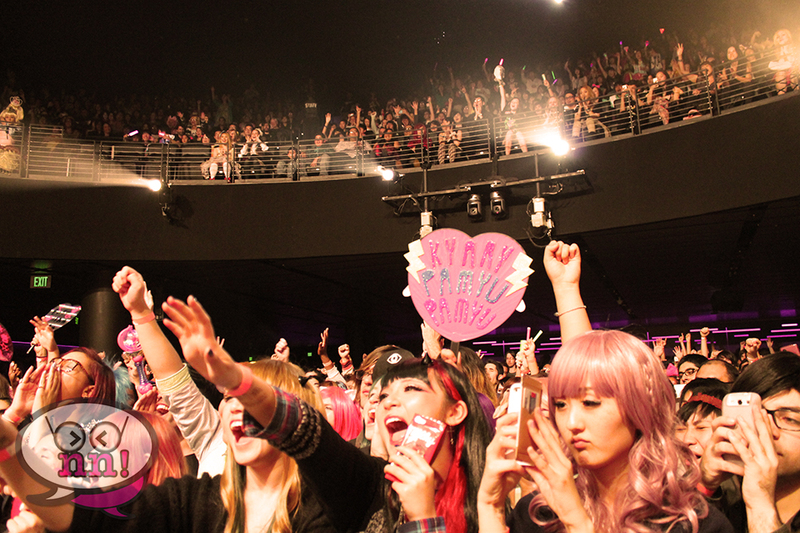 Hundreds of adoring Kyary fans squished together in Club Nokia, awaiting the chance to catch a glimpse of their idol. As the curtain parted and the dancers emerged, the crowd let out a thunderous roar! It was time to step into Kyary’s world! And what a world it turned out to be! Full of giant teddy bears and dancing dolls who all made their home onstage in (presumably) Kyary’s bedroom, which was modeled after a circus fantasy, complete with giant popcorn kernels strewn everywhere! The first song of the evening was “Invader, Invader”, followed by some of her most popular songs, including “Ninja Re Bang Bang”, “Fashion Monster” and of course the song we were all waiting for…Kyary playfully started the middle of her set by yelling “Let’s jump! Pon Pon Pon!! !” Everyone in the audience immedietly jumped up and sang along at the top of their lungs. She even debuted a new song during her performance; “Yume no Hajimarinrin”! It turned out to be quite the romp into Kyary’s kawaii world, and we’re glad we were able to be initiated into Pamyurin’s fandom! We can’t wait until she comes back again with even more music full of her perfect mix of the cute and the weird!